When outsourcing your apparel fulfillment services, there are some important things to consider. A good order and apparel fulfillment service company should have a solid warehouse and inventory management system, reliable return and exchange processing, a variety of shipping options, effective packaging solutions, and more. Here are some important things to consider before outsourcing your apparel fulfillment services on the East Coast. Inventory storage and management can be a complicated aspect behind the order fulfillment process. With apparel, inventory can quickly grow and, depending on the company, it needs to be organized by style, SKU, and size. 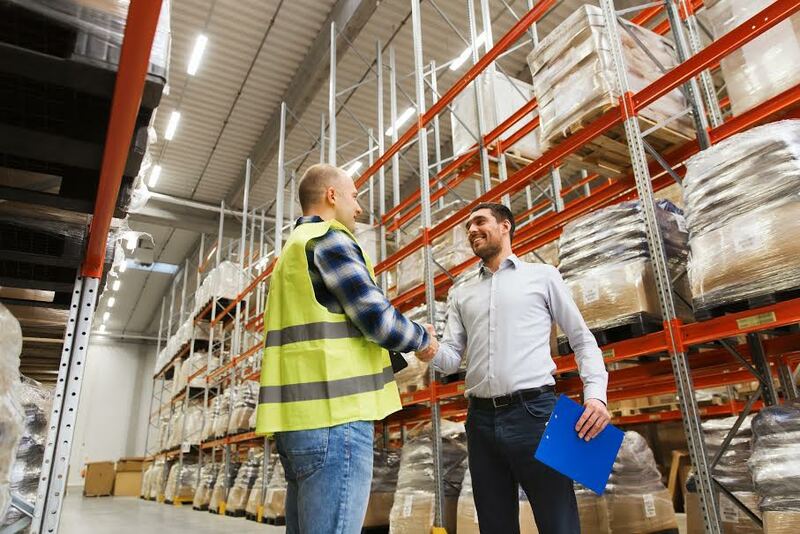 This process can be time-consuming and challenging for fulfillment company staff to manage, and this is why outsourcing the process is highly advantageous. Choosing a company that has worked with similar customers is a good way to gauge their experience. They can make sure each item is barcoded so there is no confusion among items that look similar. E-commerce services for apparel companies have one of the highest return rates. This can bring on some major challenges for companies that do not handle returns well. By outsourcing this process to an experienced fulfillment company that can manage returns in a timely manner, merchandise can quickly be resealed, placed back on the shelves, and then re-sold. Metrics for returns can also speed up this process—it allows the logistics company to make quick and informed decisions based on your data. Technology has made it more efficient and simpler to track inventory, orders, shipments, and returns. A good order fulfillment service will use the latest high-quality systems and programs to manage and track your operations to make sure everything is accurate and monitored. Staying up to date on inventory levels, orders, shipments, tracking information, and more will give you piece of mind and increase productivity for management and employees. Presentation is just as important as product quality when it comes to packaging. Be sure to find a warehouse and fulfillment center that is clean and has strict policies and procedures in place that prevent dust from getting on the product. They should be aware and able to deliver your product in the way you desire it to be presented when it is shipped out. The center should also be able to fold, re-bag, or package your brand’s apparel in a way that meets your standards. Outline and demonstrate your expectations clearly. Choose a service provider that can handle your orders even during spike seasons and holidays. The provider should have the equipment to adequately handle a large or complex assembly of products since this factor affects the success or failure of your business venture. Also consider the geographical location of the order fulfillment company. Choosing a company closer to your target market is a better option because it will help with reducing shipping costs and will reduce the carbon footprint associated with your deliveries. If you want to reap the benefits of setting up an automatic inventory management system, give Cannon Hill Logistics a call. We have over 30 years of experience with supply chain management, and our team is fully equipped to meet your inventory automation needs. Instead of wasting time and money manually tracking your inventory, give us a call to set up an automated system that does the bulk of the work for you. Your employees will work better, and you will feel more empowered with an accurate inventory count for your products. If you need advice about what inventory management solution is best for you, or if you want to work with us, please contact us at (800) 822-4747. ← Why Is an Inventory Management System Necessary?